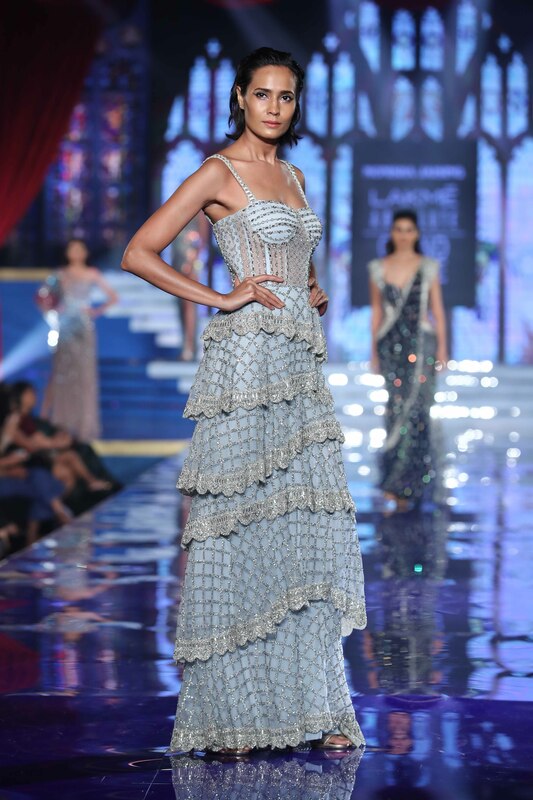 Following the haute couture theme of this week, I want to share with you Mansi Malhotra’s Spring Summer 2015 couture collection ”The Empyreal Ardor”. This collection is inspired by Baroque architecture and the Ottoman Empire. Baroque architecture is the building style of the Baroque era, begun in the late 16th-century Italy. Grandeur and drama are the first words that come to my mind when thinking about Baroque style. A great example of Baroque inspired fashion is Dolce & Gabbana’s autumn/winter 2012-13 collection (designs with heavy embroidery in gold). The Ottoman Empire was created by Turkish tribes in Anatolia (Asia Minor) and founded in 1299. The empire ruled between 1299 and 1922. Fashion designers are often inspired by the regal attire, focusing on embroidery, luxurious textiles and motifs. Inspiration from the West (Baroque) and East (Ottoman Empire) were the base for this stunning fusion couture collection. 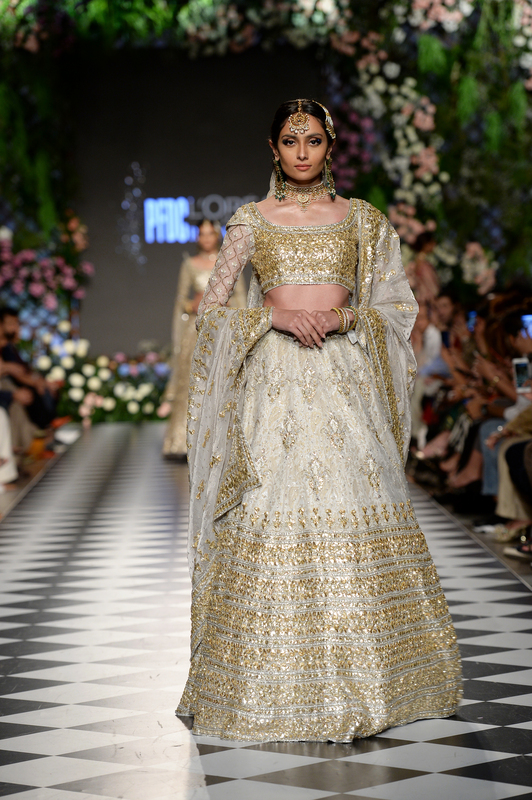 It consists of different style gowns, with the lehenga choli (skirt/blouse) taking center stage. The intricate embroidery clearly shows the Baroque and Ottoman elements. The color palette is very rich and includes hues of emerald, burgundy, old rose, ice blue, marsala, honey and gold. These gowns are beautiful options for a fashion forward, modern Indian bride or for those attending a wedding. It is also perfect for a glamorous evening out. The regal looks in burgundy red combined with heavy gold embroidery and the elegant, modern looks in old rose are my favorite looks from this collection. I am particularly fond of the old rose designs, true red-carpet looks!